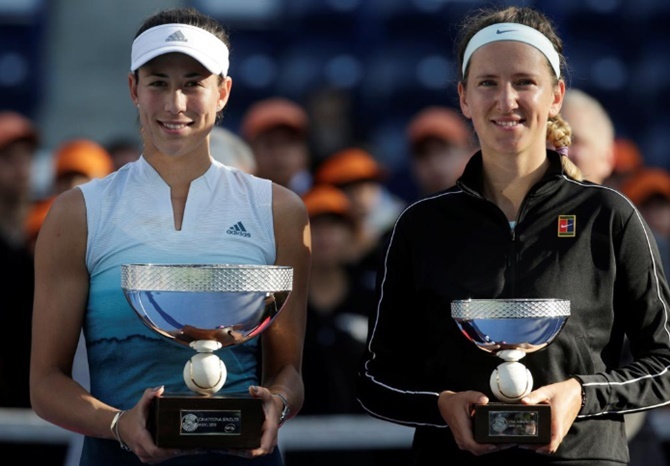 "It's a great feeling to come back and defend a title," Muguruza said in a courtside interview. "It's never easy." The Belarusian had entered the final full of hope after surprising top seed Angelique Kerber 6-4, 4-6, 6-1 in Saturday's semi-finals. Madison Keys overpowered Caroline Wozniacki 7-6(5), 6-3 to win the Charleston Open and defeat the former world number one for the first time on Sunday. "I also felt I kept a lot of pressure on her, making a lot of returns and keeping rallies going and not going for things too early," said the world number 18, who won 76 percent of points on her first serve, and fired six aces.